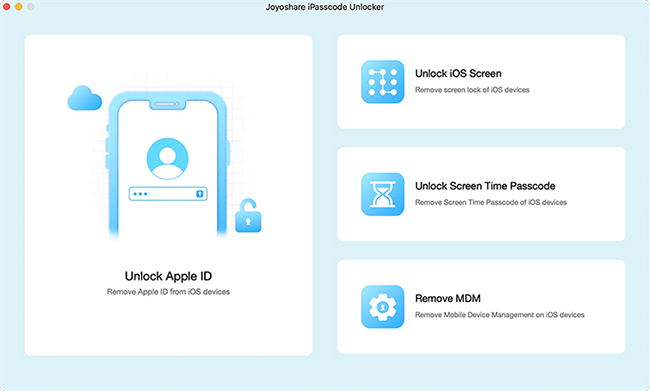 As one of the fastest iDevice screen passcode unlockers, Joyoshare iPasscode Unlocker for Mac is aimed at removing screen lock without password from iPhone, iPad to iPod touch on Mac in a couple of clicks only. Whether your iPhone is locked due to forgotten password or broken screen, etc, this smart iPhone passcode unlocker can help you bypass iPhone password without any hassle. With a wide range of compatibility, Joyoshare Mac iPasscode Unlocker is compatible with almost all iOS devices and versions including the latest iPhone XS (Max)/XR and iOS 12. Forget the passcode on your iOS device? Or got a second-hand iPhone with locked screen? Don't worry. 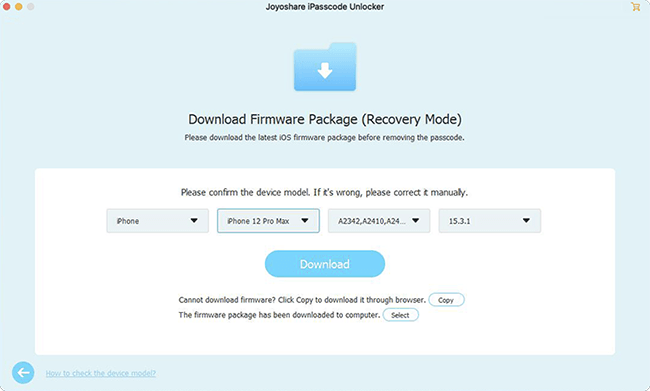 Joyoshare iPasscode Unlocker for Mac is here to get you out of all these troubles within just three simple steps: connect iDevice to computer, download and verify firmware, remove screen passcode. With clear layout and neat buttons, this easy-to-use tool ensures everybody can handle it without a hitch, no technical skills required. Powerful as it is, Joyoshare Mac iPasscode Unlocker is able to strip the protection of every type of password, including the simple four-digit passcode, six-digit password as well as more complicated Touch ID and Face ID, etc. Owing to the advanced technologies adopted in it, Joyoshare iPasscode Unlocker for Mac can help you crack them all and remove the locked screens as easy as pie. 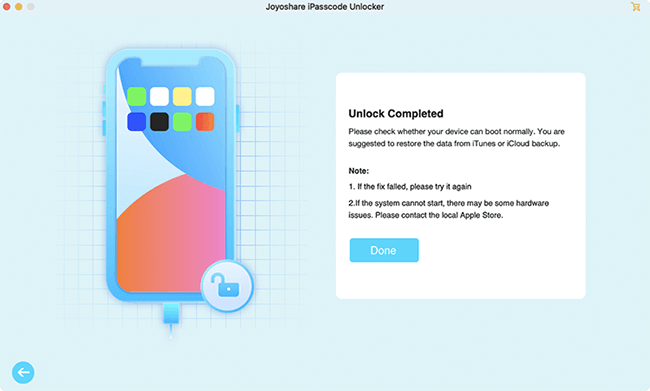 No matter how your iPhone, iPad or iPod touch screen is locked, Joyoshare iPasscode Unlocker for Mac will easily unlock the screen passcode for you. 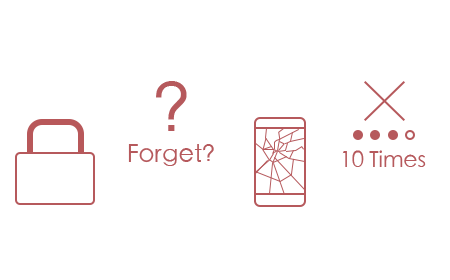 For instance, cannot remember the password or enter the wrong one for many times, bought a second-hand iOS device with screen locked, cannot type the password on a broken screen, or don't know the password because it was set by your children or others, as well as many other similar scenarios. "My iPhone X is disabled after my son typed wrong passcode for many times, and Joyoshare iPasscode Unlocker really helps me unlocked my old password. Great tool." "I just got a second-hand iPad but the screen is locked. Oh. My friend recommended me to try this Joyoshare iPasscode Unlocker, and it just unlocked it! Very easy to use with friendly interface, nice experience." 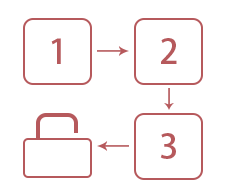 Full-featured data recovery software to salvage you from various possible data loss situations with 3 smart recovery modes.